(ISC)² introduced the Certified Cloud Security Professional (CCSP) certification in 2015 to address the growing need for highly skilled cloud security professionals. It’s a globally recognised way of proving your expertise in securing cloud infrastructure and ranked 5th in the Certification Magazine’s 2019 Salary Survey. The CCSP’s first update has been announced for August 1st 2019. The update is mainly a content refresh – making sure the CCSP reflects the most important issues that cloud security professionals currently face, and the best practices for mitigating those issues. The CCSP exam has also been shortened from 4 hours to 3. This is partly as timing analysis showed 3 hours was long enough, and partly to standardise test time across all (ISC)² exams. Why do I want to get CCSP certified? Forbes reported 77% of enterprises have at least 1 application in the cloud, and they estimate that 83% of an enterprise’s workload will be running in the cloud by 2020. With more reliance on the cloud, there’s a greater need in every business for cloud security skills. In the last 2 years alone, businesses such as Facebook, Under Armour’s MyFitnessPal and TalkTalk have all suffered high profile cyber-attacks - increasing the urgency for certifications like the CCSP even more. If you have a background in IT security systems and you’re interested in developing your knowledge in cloud security and infrastructure, the updated CCSP is the ideal choice. You’ll need experience in applying security concepts and controls to cloud environments. This is enough to take a training course and even the CCSP exam, but there are specific conditions required to achieve the certification. According to (ISC)² prerequisites, candidates must have 5 years cumulative paid work experience in information technology. 3 years must be in information security, and 1 year in one or more of the 6 domains of the CCSP CBK. An (ISC)² CISSP certification can substitute for all of these prerequisites. However, to gain the CISSP you need at least 5 years cumulative, paid, full-time work experience in 2 or more of the 8 (ISC)² CISSP Body of Knowledge (CBK) domains. You can also partially substitute this with a 4 year college degree or another approved (ISC)² certification. 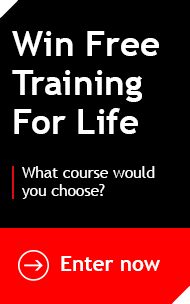 Learn from official instructors, labs and courseware and sit your exam during the course, just steps from the classroom. Firebrand won the (ISC)² Official Training Provider Recognition Award 2018 and are the only training centre with Pearson VUE® Select Status - making us the only official training provider where you can take your (ISC)² exam during the course. Interested in getting the CCSP? 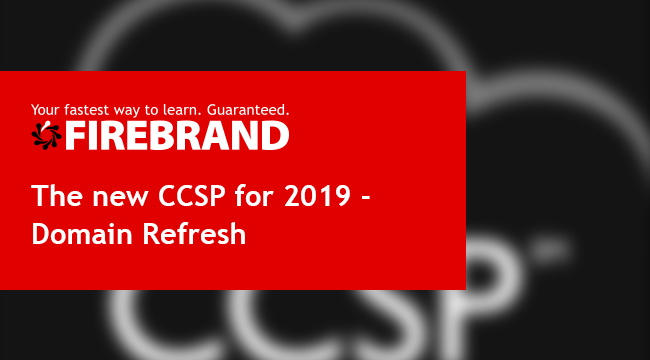 get certified and fast with Firebrand’s all-inclusive accelerated CCSP course.